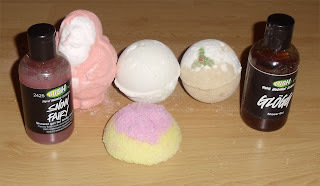 BeautySwot: Have a Lush Christmas! Lush have created some wonderful products this Christmas which are perfect for a pampering treat or cute stocking fillers for Christmas. Hurry and get yours before these disappear from Lush stores! Sweet and fruity scented like a bag of sweets, this shower gel left my skin feeling soft and moisturised and smelling yummy! I love this Santa shaped ballistic, he comes complete with a sack on his back. This is citrusy scented with mandarin oil, orange blossom and bergamot oil. Be warned though it will turn the bath water orange! 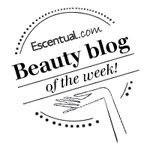 I love this gorgeous and effective scrub which claims to reduce the appearance of cellulite. It has a fab scent of Jasmine, ylang, ylang and plum kernel oil and the sugar is fairtrade. This ballistic is shaped just like a snowball, but instead of making you feel cold this winter it will warm you up with clove bud, lemongrass and ginger oil. Glögg is a traditional mulled wine that is drunk while perusing the Christmas Fairs - Lush have taken this recipe and adapted it to a shower gel - what an innovative idea... The shower gel is a runny, warming concoction of red wine, brandy, cinnamon, clove and fresh orange and lemon juices!